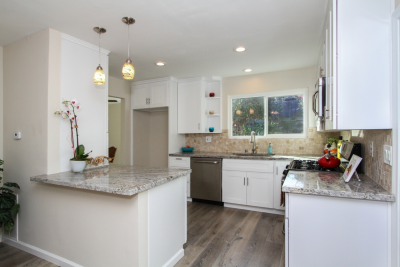 Stunning $50K Remodel! Bright beautiful open twinhome with 2 Br 1Ba & 3rd Br/ Bonus Rm in quiet Peacock Hills. Enjoy entertaining in a spacious living room and a dream kitchen with gorgeous granite countertops, travertine backsplash, stainless steel appliances. 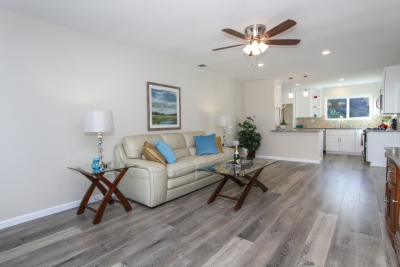 Custom paint inside & out, upgraded cabinetry, crown molding, high end laminate wood flooring. New dual pane windows, LED can lights, ceiling fans. Spa inspired bath with granite & designer porcelain tile. Dining room opens to huge private fenced backyard & covered patio for relaxing and entertaining. New lush low maintenance landscaping. Paradise! A Must See! Open House Saturday, December 31st, 1 - 4pm. Stunning $50K Remodel! 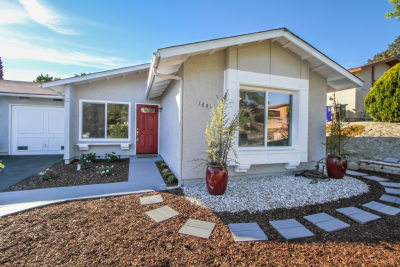 Bright beautiful open 55+ twinhome with 2 Br 1Ba & 3rd Br/ Bonus Rm in quiet Peacock Hills. Enjoy entertaining in a spacious living room and a dream kitchen with gorgeous granite countertops, travertine backsplash, stainless steel appliances. 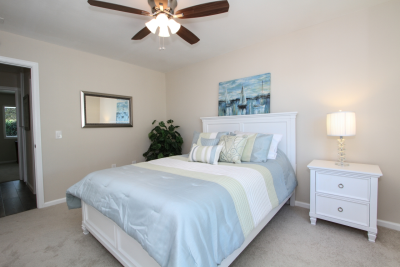 Custom paint inside & out, upgraded cabinetry, crown molding, high end laminate wood flooring. New dual pane windows, LED can lights, ceiling fans. Spa inspired bath with granite & designer porcelain tile. Dining room opens to huge private fenced backyard & covered patio for relaxing and entertaining. New low maintenance lush landscaping. 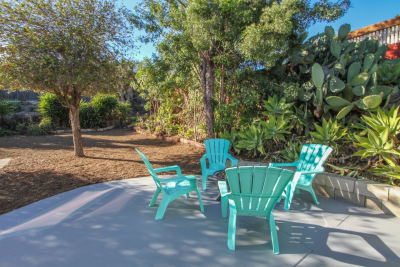 A short drive to the beach, shopping, dining, freeways, Coaster, Tri City Medical. A charming home that looks like new and feels like Paradise! A Must See!